You’ll carry them with you like well-worn luggage, stuffed into your cerebellum from a lifetime’s worth of daydreams, television highlights, and the tall tales told by the lucky ones, who’ve lived the legend for themselves. You see, it’s only natural, and virtually impossible, to arrive at the Old Course at St Andrews without the baggage of preconceived notions. A member of The City of St Andrews Pipe Band can often be found “calling the boys home” as they play the day’s farewell from the stone streets of the city. After all, the Old Course is the unquestioned granddaddy of golf, the world’s oldest, most revered and beloved course, and the playing of it is equal parts pilgrimage and privilege. Where legacy meets reality, it is everything you have heard and read and more. What is not, however, is pretentious, instead surrounded by a real, practical kind of magic, the kind you can see and smell and grab hold of tightly. It’s a kind of magic that must be seen, experienced, to be believed — and truly understood. Bobby Jones, perhaps the greatest American golfer of all time, understood its mysteries about as well as anyone could. After a bedeviling introduction to the Old Course (infamously storming off on the 11th hole), Jones famously fell in love with the place and the people of St Andrews (and they with him), after winning the Open Championship there in 1927. More than 30 years later, he returned to be made a Freeman of the city, the only American so honored. As the crowd of 1,700 packed St Andrews University’s Younger Graduation Hall and spilled out into the cobblestone streets, Jones spoke eloquently about what the honor — and the place — meant to him. Through his many trips, trials and challenges there, Jones had learned the true secret of what makes St Andrews so special: it is an experience as much about the community as it is about the history. You see, while the Old Course sits on what is most certainly hallowed ground, it is uncommonly common ground, as well. In addition to being the among the world’s oldest, the Old Course is also the world’s most democratic golf course, presented for public consumption with an intrinsic fairness befitting the ethical ethos of the world’s greatest game. Owned by the exceedingly gracious people of St Andrews and run by the St Andrews Links Trust, the Old Course offers everyone a chance to put peg in ground and play where countless others have for more than 600 years. And while idle shepherds may have dreamed up the tradition back in the 1400s while tending their flocks, today thousands of hopeful golfers flock to the Old Course, planning on playing by hook or by crook or anything in between. To avoid any unfair impropriety, today the Old Course employs a ballot system to democratically meet demand, assigning tee times to the day’s lucky winners. Some are not so lucky to find their name on the day’s tee sheet, always (and unceremoniously) taped to the window of the understated, green-and-white caddy shack, left with a dream deferred for another day, or another trip. This is the equitable plan to meet demand designed by the St Andrews Links Trust, the charitable caretakers of the Old Course and its six siblings: the New, the Jubilee, the Castle, Eden and the Strathtyrum, as well as the nine-hole Balgove. Together, the seven courses comprise more than 1 ½ square miles of glorious green legacy, serving as the epicenter of the game’s history. Entrusted with the preserving the game’s storied past, the St Andrews Links Trust has succeeded by focusing on the future. Since its inception in 1974, the Links Trust has overseen careful updating of each of the courses (and adding the Castle Course), thoughtfully bringing modernity to history, and ensuring St Andrews remains at the forefront of golf relevance, not an antiquated relic to a game gone by. The dichotomy of history and modernity is everywhere you look in Scotland, as a flight into Glasgow or especially, Edinburgh (pronounced, Edin-borough) quickly shows, with gleaming cityscapes rising from streets several hundred years old. Just over an hour from either city, past quaint, tiny towns like Cupar, Cowdenbeath, or Kincardine, surrounded by the Scottish countryside’s golden canola fields and farms, the narrow, winding road reveals the sleepy, storied city of St Andrews. As hard as it is to fathom, the ancient-walled city of St Andrews predates even the Old Course and the game itself — by a millennia. The seaside city on the eastern shores of Fife on the North Sea, has existed in one form or another since roughly 370 A.D., when nomads became settlers who became farmers. It would take another thousand years before they would become golfers, though all agree the wait was certainly worth it. The town began its march to modernity around 1,100 A.D., when it is believed it became the resting place for the remains of Saint Andrew — the Apostle himself. A towering cathedral and university followed, and soon followers flocked to the area to pay homage. Today the cathedral lies in ruins, but the university — the third oldest in the United Kingdom — is more vibrant than ever. But while the town was built brick-by-cobblestone-brick in honor of Saint Andrew, today the town revolves around the little 42-milimeter sphere known as the golf ball. Step one foot onto the Old Course, and it’s easy to see why. The first thing that strikes newcomers about the Old Course is how incredibly accessible it all is — part public park, part public display. The famous 1st and 18th holes aren’t hidden away behind great iron gates, stone walls or manicured hedges — they’re out in the open, just steps from the bustling city streets and shops. The famous holes are boxed in by a green-and-white-wooden fence, which is usually lined with onlookers from dawn to dusk, serving as gallery to the greatest round of most people’s lives. Just across the narrow access road behind the first tee is the stately, sandstone visage of the Royal & Ancient Golf Club, the ruling body for golf everywhere in the world other than the U.S. and Mexico. If you’re lucky, maybe a few of the R&A’s 2,400-or-so navy blue-blazered members will be watching your tee shots from the club’s windows, right along with the game’s ghosts. 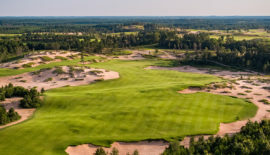 Cutting through the heart of the 1st and 18th fairways — all 129 yards combined — is another public road, allowing access to the Links Clubhouse and the beach beyond. The occasional car or crowd will wander through between groups of golfers, respectfully staying out of play, yet the added traffic adds an element of spectacle, as if the course needed any more. Further up the 18th fairway, closer to the tee and the Road Hole bunker of the 17th green, lies the most famous stone structure in all of golf: the Swilcan Burn Bridge. 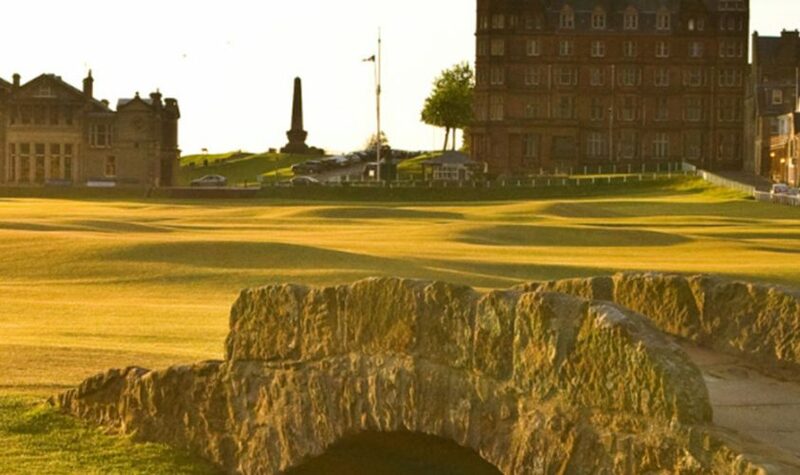 Originally built by shepherds more than 700 years ago, the bridge has since become the sentimental centerpiece of the Old Course, as every legendary golfer in history has crossed it on their triumphant march up the 18th. (Let that sink in a moment.) The Open Championship has been held at the Old Course 28 times, more than anywhere else, and a photo-op of the winner with the Claret Jug on the bridge is as quintessential as you’ll find in golf. That is not the St Andrews way. The public has its run of the place every Sunday, when it transforms from world-famous course into its alter-ego, a 7,305-yard popular public park, full of locals, students and tourists, joggers and walkers, dogs and their Frisbee-throwing owners. There is little in life more peaceful than a sunset, Sunday stroll down the 18th fairway of the Old Course, going up and over the Swilcan Bridge, exiting the fence gate behind the green and heading a block south on Golf Place road to the Dunvegan Pub, for a cold pint and a warm bowl of soup. Just as it once embraced its eponymous namesake, St Andrews is now a town that lives and breathes the game like no other place in the world. There are golf shops seemingly on every block, including the Tom Morris, located from its enviable confines just off the 18th fairway, where it’s resided for only about 150 years. Like nearly everything else golf-related here, Tom Morris is the oldest golf shop in the world, which the Tom Morris started in 1866, settling back in St Andrews after his career as a course architect, having built Prestwick, Muirfield and many other notables. Old Tom primarily made clubs and balls out of the storefront located at 8 The Links, the narrow road running the right side of the 18th, but today the business garners international acclaim for its apparel, available almost everywhere. The Tom Morris is just one of many local landmarks within a wedge of the Old Course, from the Old Course Golf Shop, to the private St Andrews Golf Club (established in 1843), to the Rusacks Hotel, which is the closest hotel to the course without actually touching it. Further up the street, as The Links turns into Old Station Road, you’ll find the Old Course Hotel, which is perhaps most famous for being a part of the course itself — tee shots at the 17th “Road Hole” must go around or carry over the corner of the hotel’s conference center. But golf dominates the landscape everywhere you turn in St Andrews, and in the restaurants, hotels, shops and especially, pubs, a golf-crazy crowd always awaits, whether it’s townsfolk or tourists, caddies or cabbies, and especially the proprietors themselves. “Where’d y’play t’day?” is the common refrain, undoubtedly followed by bits of sage wisdom and local lore, some of which is inspiring, some preposterous, but always interesting. 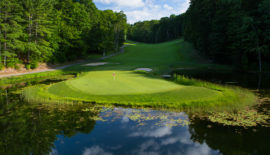 By sharing in an experience that’s such a colossal part of the town’s collective consciousness, it has a unique way of heightening the golf senses, as well as the anticipation. Throughout, you’ll encounter truly legendary golf come to life, and come to appreciate it not only for its mythic properties, but also for its intrinsic excellence. This is golf as it was meant to be, because were it not, quite simply, it would be something else. That is the unshakable truth to the Old Course. It is the reason it has survived the centuries, and the reason it remains at the top of its game, as well as the game. 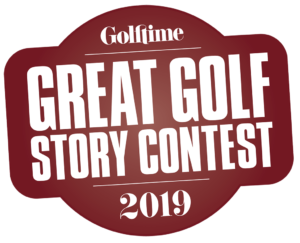 Bobby Jones — who also famously gave up on the old girl during his first trip here, storming toward town after an ignominious encounter with the bunker now named for him — eventually saw the truth in it, too. There is no shortage of lessons to be learned on the Old Course, and it would likely take several lifetimes to learn them all. But the experience certainly doesn’t stop there. In addition to the seven stellar St Andrews Links courses, Scotland offers an incredible array of tracks that make it the foremost golf destination in the world. Sitting above and beyond the city’s cobblestone streets, The Duke’s Course, one of the newest entrants on the St Andrews golf scene, sprawls out across the plateau. Designed by Peter Thomson in 1995 and redesigned by American (and Pete Dye protégé Tim Liddy) in 2006, The Duke’s is a beautiful example of modern meeting ancient. Just outside of town, not far from the stunning, seaside Castle Course, you’ll find the stately Fairmont St Andrews Hotel. Like an oversized estate rising out of the countryside, the Fairmont offers all the elegant accommodations and amenities you’d expect from one of the world’s finest resort collections. It also offers 36 spectacular holes of golf, making it the No. 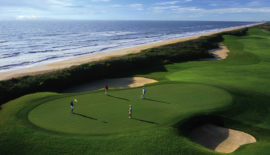 22-ranked golf resort on the globe by Golf Digest. The Torrance Course is an inland, traditional Scottish links course, originally designed by the legendary Sam Torrance, and home to European Senior Tour events and Open Championship qualifiers, among others. The Kittocks Course, originally designed by Gene Sarazen, is a dramatic, seaside stunner ranked No. 37 in the world by Golf Weekly. It’s also as playable as it is pretty, giving many visiting golfers a chance for their best round of their trips. Further down the winding road from the Fairmont, seven miles from the Auld Grey Toon, is arguably the most spectacular example of Scottish golf: Kingsbarns Golf Links. Kingsbarns was originally built by the newly formed Kingsbarns Golfing Society in 1793, until it was converted back into farmland in 1850. The society built a new nine holes in 1922, until they, too, were put out to pasture during World War II. 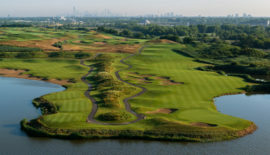 Then, at the turn of the 21st Century, architect Kyle Phillips created what many call their favorite course in the world. Built on a two-mile strip of shoreline on the North Sea, it’s easy to see why. Dramatic views, immaculate conditions and impeccable service make Kingsbarns a Top 100-ranked club in the world, and a must-play on any trip to the home of golf. There are, of course, countless other experiences awaiting you in Scotland, from one of the toughest tests in golf at Carnoustie Golf Links, to the opulent, elegant Ryder Cup site, Gleneagles, and many more. You’ll see it all in hassle-free style, chauffeured through the Scottish hillsides by the good people of the Old Course Experience, ensuring you leave with what you came to Scotland for: an indelible, one-of-a-kind experience, sharing in a true celebration of the game. That’s the real magic of St Andrews. It’s not only a place that loves the game as much as you do — it’s the reason you love the game to begin with. You just never knew it before now.